A new set of bearing products for automotive drive shafts provide durable performance in harsh conditions without failure. How do the terms “labyrinth” and “drive shaft” go together? The answer lies in the new “CoRX” and “Twin-Ax” deep groove ball bearings for passenger car drive shafts from Schaeffler, which deliver durability even under extreme conditions. The highlight of these new products: two sealing rings that are smartly interconnected and make the ingress of water and contamination into the inside of the bearing impossible. Deep groove ball bearings can be found on the drive trains of a wide range of vehicles, including front-wheel drive compact cars, limousines, small vans, and all-terrain 4x4s. Many of the applications in which these bearings are used mean they are often subjected to extremely harsh conditions, where water and contamination can penetrate into the inside of the bearing and cause damage. Schaeffler is now putting an end to this with its new “CoRX” and “Twin-Ax” deep groove ball bearings for passenger car drive shafts, which are equipped with a labyrinth sealing system that keeps contamination out of the inside of the bearing. The special feature of this system is a pair of specially formed sealing rings. Unlike the existing “Seal-Slinger+Ax” deep groove ball bearings, the “CoRX” and “Twin-Ax” bearings feature cassette seals. While “CoRX” bearings are equipped with axial and radial seals, “Twin-Ax” bearings feature two axial lips made from corrosion-free stainless steel. The outer sealing ring is water and dust-repellent. Both bearings have a third sealing lip with minimal interference to ensure that the lubricating grease stays inside the bearing, and it also provides improved wear protection. What is more, the frictional torque inside the bearings is minimised thanks to the optimised sealing lip contact, which means they are ideal components for high-speed drive shafts. 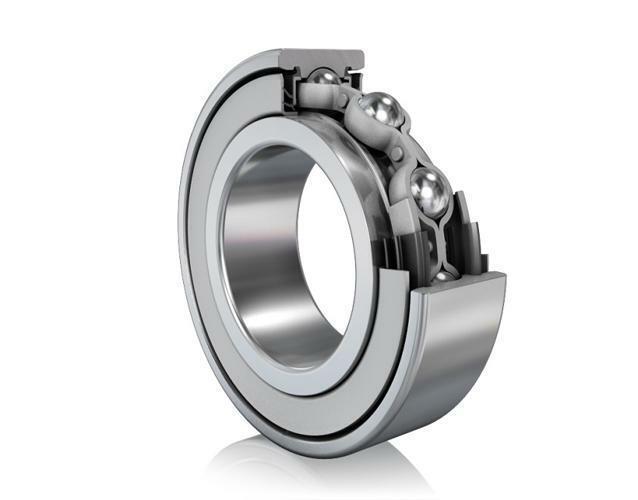 “CoRX” and “Twin-Ax” bearings are suitable for a wide range of applications: they can be installed as both prop shaft and side shaft bearings and require no additional seals to be fitted.